Strawberries and cream, raspberries. A pretty easy drinking wine. The palate has good texture which makes it very morish. Ripe strawberries, sweet red cherries and cinnamon present in the bouquet. The palate displays strawberries and cream textures that are dry and fresh. Vibrant strawberry fruits burst from the glass and on the front palate. The palate then dries off to become clean and refreshed. 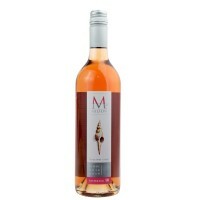 Fresh aromas of strawberry; a crisp palate that is fruity and possesses full freshness. This wine is made with Pinot Noir grapes that were all bunched at low pressure to avoid extracting the colours from the skins. Enjoy it now for it's freshness or put it away for up to ten years. Great with seafood or poultry. Bright, intense and perfumed. A nose of lifted strawberries and cream. The generous palate has juicy raspberry fruit balanced by natural acidity, creating a zesty long finish. A light and bright rose / salmon in colour. The wine’s aromas are brimming with fresh strawberries and cherries; it’s opulent. The clean, beautiful fruits are very flavoursome and natural acidity drives theses flavours through the mouth to create a lovely balanced and length feel. Enjoy with a thick fillet of oven roasted Tasmanian Salmon or Ocean Trout. A lovely bright bronze colour. Made from 87% Pinot Noir, 8% Chardonnay and 5% Pinot Gris, the initial cherry fruit aromas of the Pinot Noir dominate the bouquet. The palate is all strawberries and cream in texture; fresh and fruity, this Rosé is crisp and frisky. A refreshing summer wine. 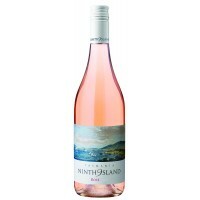 Strawberry-blush in colour with a fragrant nose of cranberry and musk this wine has a soft creamy palate. It is well balanced, zesty with crisp acid and a long, persistent finish. Delicious with spicy foods, seafood, dessert or as an aperitivo. 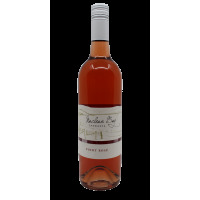 Musselroe Bay Rosé is produced from 100% pristine Tasmanian fruit that displays a beautiful ruby colour.The bouquet is filled with strawberries and the palate delivers a crisp dry finish with superb balance. Made from Estate grown Pinot Noir grapes, this wine displays nice texture and mouth feel with a little grape skin tannin adding depth. Lovely Provence style rosé; drinking well now and great to partner seafood and light game foods such as rabbit. 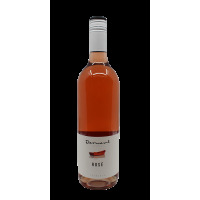 This juicy, high-toned Rosé is a product of Tasmania's cool maritime climate and the ancient, low vigour soils of Riversdale Estate in the Coal River Valley near Hobart. It is an aromatic, fruit driven wine with a finely textured palate; eminently enjoyable on it's own or paired with our delicious regional cuisine.